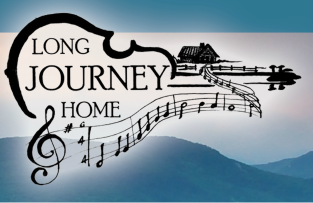 If you share our love of traditional music but can't make it on Labor Day weekend, you can enjoy making your own Long Journey Home self guided tour any day of the year. Visit the places where ballads were born, stories shared, and many of the Old Time standards were written. Find the homeplaces of the people who preserved, passed on, and carried forward the musical traditions that became the basis of modern Country music. Spend an afternoon or a weekend with us. Plan yourself a loose itinerary and leave some room for discovery! Use the interactive map below to create your own self-guided tour , and be sure to join us when you can for the next Long Journey Home: Musical Heritage Homecoming tour set for Labor Day weekend 2018, when you can experience live music right on the front porches of some of Johnson County's finest 20th century musicians! A CD is available now at Johnson County Center for the Arts and a map is in the works to guide and entertain you as you discover the musical heritage of Johnson County. Below is a sampling of the music.